Browse our wide selection of Jeep Wrangler TJ Antennas and Mounts to find the best prices for your Wrangler LJ or TJ. In this category you will find LJ and TJ Wrangler antenna mount products for the 1997, 1998, 1999, 2000, 2001, 2002, 2003, 2004, 2005 and 2006 Jeep Wranglers. You can either select a product category or use our search box to find specific items in our store. Feel free to use our filtering options to sort by popularity, price or ratings within a category. The TJ Jeep Wrangler Antennas and Mounts we carry include short antennas, antenna mounts, novelty antennas, CB antenna mounts, antenna mounting brackets, antenna covers and more. TJ Antennas and Mounts are designed to give your Jeep Wrangler clear connections with your radio, stereo or CB radio. We can help you deck out your Wrangler with Antennas and Mounts to make your Jeep stand out from the rest. 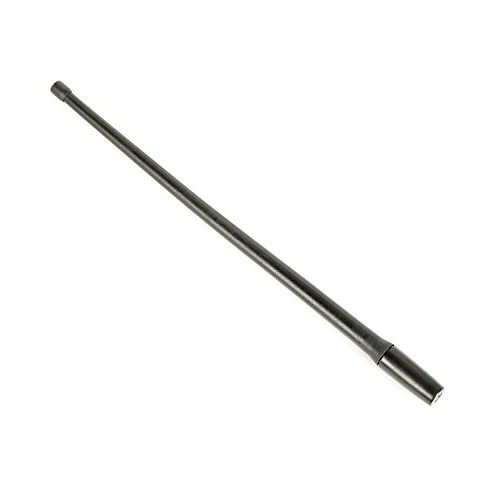 A Jeep TJ short antenna is a great addition for driving off-road and not having to worry about your antenna getting caught on obstacles in the path.